A December 11th presentation on the full Community Path Extension, given at the Holiday Inn, has been posted to the project website. The path currently runs from Davis Square to Cedar Street with an extension being completed, by the City of Somerville, to Lowell Street. The presentation details the extension of the path from Lowell Street to Inner Belt-a project MassDot has committed to designing. 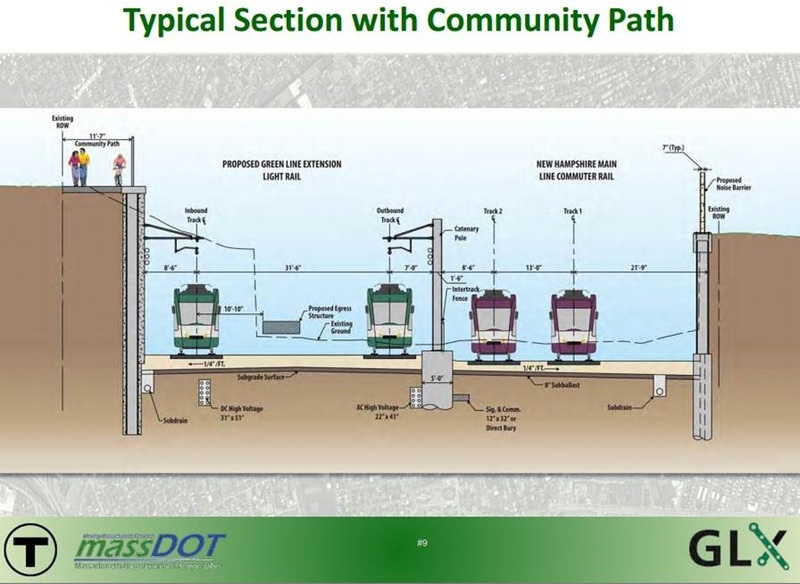 The presentation was made at the 30% design phase along the Green Line rail. 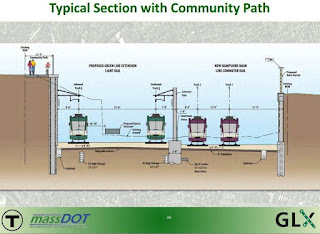 This presentation has also been posted to the Community Path page here on Ward 5 Online. Great presentation. Thanks for posting.